You will commit more money to church buildings and renovations than anything else, ever. It takes a trusted guide to ensure your budget, vision, and environments align during a building project. How can the creative culture at Disney inspire the design and construction of church facilities? Pastors go to seminary not real estate school, knowing how your building works and what story it tells matters. Stewardship does not always mean that the least expensive solution is the best solution. How is your church physically communicating its uniqueness in the community and Christ? Who is your guide from the first creative concept through the opening day of your new building? How can your church show value to the city and community during an adaptive reuse project? Just because you can find an empty building, doesn’t mean it works for a church. What are the variables in re-using a retail space for a church? What are the hidden costs as well as the hidden opportunities? The right environments are only the beginning – how do you tell the great commission story of your church with every space? Connecting people with story matters… we can tell the most excellent story ever through our environments and spaces. Our church buildings tell a story whether we know it or not. Most church leaders are not shaping that story, instead of letting it be shaped. What if your buildings could tell the same story of life transformation that your staff tells? Church facilities can impact the community by being places where invitation and engagement can happen. It’s not just a building; it’s not only a floor; your buildings are here for much more. Telling your story as you build a building doesn’t have to cost any more than the building itself. Make sure you understand the vision and purpose for your new space beyond just more square footage. The church doesn’t have to be just a Sunday event from a campus perspective… how can your buildings work for the community and invite people seven days a week? God is the best designer out there… how can we invite the arts back into the church to reflect God’s creative nature? Telling your church’s story through Christ’s story is the real power of design in worship environments. Many architects are telling their own story through someone else’s project by using someone else’s money. Do you know your great commission story? The process and product of your next building project can do more than gain square footage; it can tell the most excellent story of all time. Take the long view; ministry is a journey in which longevity produces the greatest success. 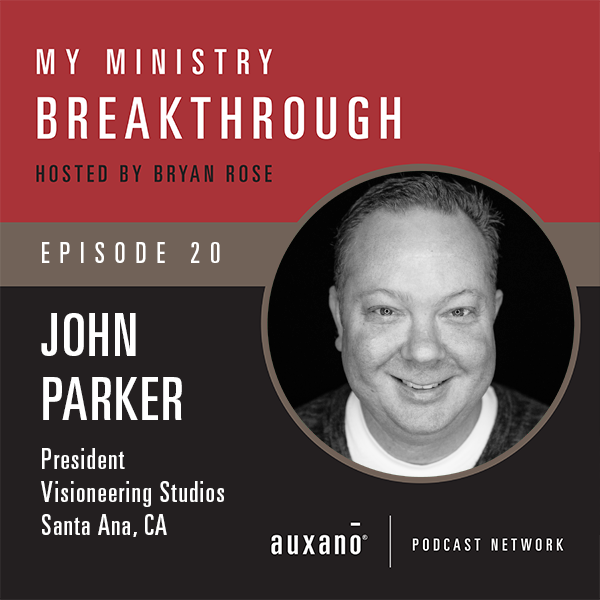 John Parker is President of Visioneering Studios and brings vast experience designing and managing a variety of development and construction projects for public and private companies. As a former Walt Disney Imagineer, John learned to bring creativity and immerse story into every project. John worked on projects for Disney in Florida and in California, winning the industry recognized TEA (Themed Entertainment Association) award for his part in the “Soarin’ Over California” attraction. John holds a Bachelor’s Degree in Civil Engineering from the University of California, Irvine and holds General Construction licenses in over 30 states. John serves as a commissioner on The City of Tustin’s Building Board of Appeals. It is possible to out-envision your vision by building and buying too much. 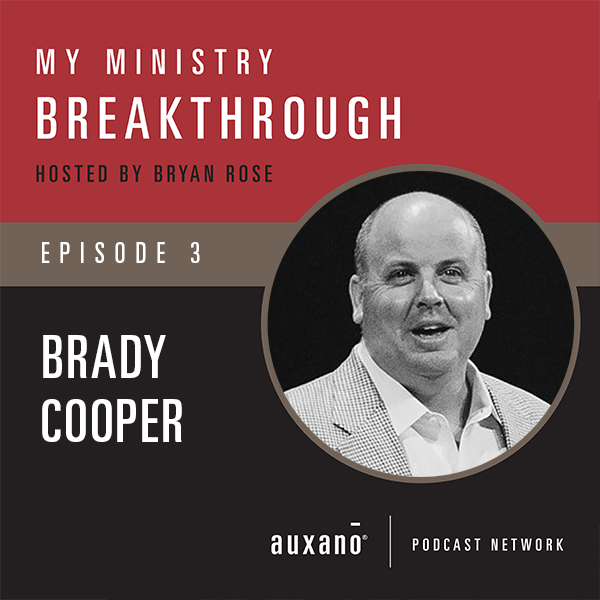 How do you lead when your available ministry budget is less than 5%? How do you lead active ministry when there are no resources? Relationships and caring for people do not require a lot of money. What might God do If you set aside substantial time to pray every Sunday? What if prayer in your worship services was more than just a transition? What if prayer in your staff and congregation was more than something you did and was something you are? Inward focus distracts from your outward calling. Until the problems of who is not here become a greater focus than the preferences of who is already here you will starve the Great Commission. When it seems like every obvious clue says no way, sometimes the Spirit says go anyway. There is no church that God is not big enough to revive. You can only play the “…because I’m the pastor” card once. Trust is built by being transparent and deal directly and honestly with critical issues. Your church has a functional mission, survival, making a budget, building a building. It doesn’t cost anything to train people and become a more welcoming church. Does your structure help you accomplish the mission or does it stand in the way of your mission? When is it time to change your structure from committees to elders? In most cases, you will struggle to out-give an overbearing debt but you can out-grow the debt by making disciples. Whether you’ve incurred or inherited an overwhelming debt, reaching and making disciples impacts more than campaigning. Nothing inspires people about getting out of debt, but life change moves hearts and minds. It doesn’t cost any money to make a couple of calls and recruit volunteers to welcome THIS SUNDAY. Embracing the outsider with hospitality is reaching people as Jesus commanded. There is a way out, no matter the size debt or challenges, God is bigger than those moments. Stick with what God has planted in your heart – when He called you to the church, God knew what the problems were even if you didn’t. Own your mistakes and be honest – genuinely love your people, and they will love you back. Practice tactical patience, you don’t have to get involved in every situation. Is there a difference in giving God your “first time” versus your “best time” every day? Why is it important to be gentle and friendly with those you disagree with? How do you shift from assuming the worst in disagreement to thinking the best in someone? 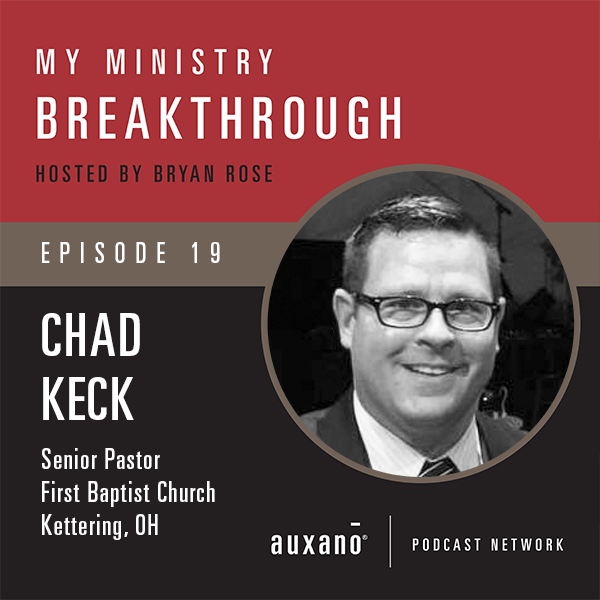 Chad Keck currently serves as the Senior Pastor of FBC Kettering, OH. He is married to Candace, and they have four children; Hadley, Shepherd, John, and Calvin. Chad also is an adjunct professor at Cedarville University and works for the Executive Committee of the SBC as a Cooperative Program Catalyst. He loves to snow ski, read, and travel. There is a difference between just placing leaders in a role and actually developing leaders for ministry. Great leaders are not just intuitive, they are highly intentional as well. Systems, process, and structure are critical but the relationship moves people. We can do leadership gatherings better by leveraging both technology and collaboration. Stop training for the lowest common denominator in the room… raise the bar. 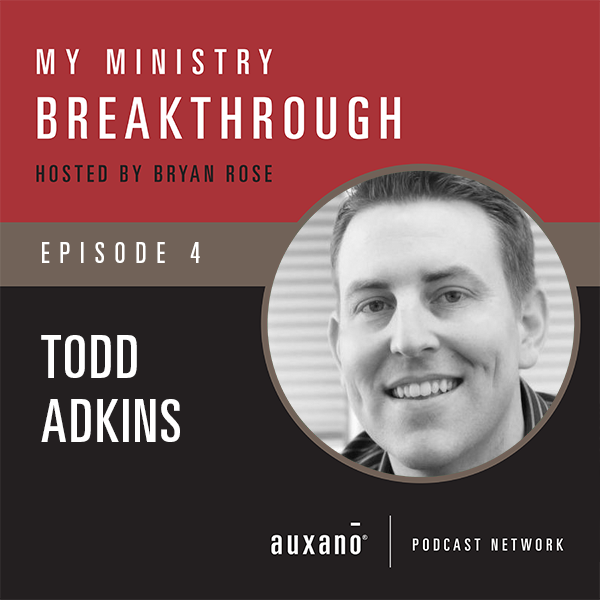 Todd Adkins is the Director of Leadership Development at LifeWay Christian Resources in Nashville, TN. Prior to joining LifeWay, Todd worked in the local church in student ministry and as a campus and executive pastor. He has a background in launching strategic initiatives and web-based leadership development, and he’s passionate about helping churches create cultures of pipelines, leadership development, and training pathways for every role in the church. Since joining LifeWay, Todd has spearheaded the development of Ministry Grid, Lifeway’s dynamic leadership development platform, and written Developing Your Leadership Pipeline, a tool to aid church leaders in developing their people. He also hosts the 5 Leadership Questions and New Churches podcast and tweets #Leadership incessantly at @ToddAdkins. To fight complacency in the church, we must stay hungry evangelistically. Building a church culture that engages men, requires a shared value toward challenging men. For his staff, the intentional discipleship of 2-3 other people is not up for negotiation. Keeping your family healthy is your primary responsibility as a senior pastor. Growing a thriving church can quickly produce a starving family, pastors can and should seek professional help. Brady’s call to preach came during his days at Belmont College. After graduating from Belmont and later from Southern Seminary, he served New Vision Baptist Church as the youth pastor. Brady left for First Baptist Hendersonville and returned in 2003 to serve as New Vision’s Senior Pastor. The church has grown from 400 to 5,000 in weekly attendance over the last 15 years, with three campuses (one inside of a jail!). Most days off for Brady include hunting, fishing or enjoying a great ball game.